This is only a small sampling of the items that a project manager might need to deal with, but it will serve to give you a pretty good idea of what you will be dealing with during your career. While even this small list might seem daunting, construction manager training will do a great job of preparing you for everything that is to come. You will learn more about these as you undertake your construction management certification courses and when the time comes, you will be a force to be reckoned with. For anyone who wants to become a construction manager, it will be critical to show that you can handle public safety, engineering, drafting, management, human resources, and much more. To put it as simply as possible, not everyone is cut out for this career, and intense training is needed to ensure that you fit the requirements. A construction manager’s job can be very complex; construction managers are essentially expected to create the entirety of the job by arriving on the scene and starting the design phase. This means opening the bidding process to interested contractors and ensuring that those who bid can handle the job and complete it competently. Those who do meet the necessary guidelines will be chosen via a low-bid, best value selection. They may also be chosen based on their qualifications; it is all subjective and dependent upon the circumstances. This can all be quite confusing, and as a project manager, you will be expected to navigate and understand it all. If you believe that you can handle it, then now would be a great time to get your career off the ground by engaging in the training that will teach you the knowledge to be successful. This process begins with researching schools to ensure you attend the right one for you. At ITI Technical College, we are confident that you will find the education that you need when you enroll in one of our programs. ITI Technical College’s comprehensive curriculum offers hands-on experience, and our team of highly educated, highly experienced instructors will help guide you to a new career. For more information, give us a call today or check out the opportunities listed on our website. It will not be too long before you find yourself in a rewarding career that will not only last a lifetime but will help you to influence the construction world. The significant increase of women in construction management has led to many positive changes, but what is it that makes women outstanding project managers? In this article, we are going to cover a few different items and qualities that women tend to display in construction management roles. The first and foremost item that we would like to bring up is the simple fact that women are great at communicating. They know how to talk to customers and often instigate conversations that put the customer at ease. Informal conversations do a great job of helping to explore concerns or even highlight problems that you might not have learned about if you were to put the client ‘on the spot’. With good communication, you can listen effectively and delegate tasks to each member of the team. This effective communication can create a much more cohesive work environment. Any project can be complex, and it is important to break each project down to understand its core objectives. This means dealing with the potential issues and getting feedback from everyone involved in the project. Women are very good at analyzing and dissecting projects to present them in the simplest terms possible. This will make projects easier help the team to complete them faster and more effectively. It has been demonstrated time and again that women are very adept at managing finances – in many cases, they are more financially savvy than most men. Studies have shown that women often listen to advice, usually learn from mistakes, and take less risk when compared to male counterparts. By making less impulsive decisions and being more rational, women can save the company money and make the entire organization more successful. Women are outstanding at remembering small details, and as such, they may be better at hammering out the minutia during project planning. From measurements to supply quantities, there are some things that simply need the cognitive ability that a woman brings to the table. A study that was recently showcased in the Harvard Business Review* showed that women are much older than their male counterparts in many aspects of a business. They not only take on some of the most challenging goals, but they encourage others to take that step and to further their careers. To put it quite simply, a woman in an authoritative position is bound to drive the business and inspire others to do their best. Additionally, it is known that in business, changes sometimes need to be made, and the study also demonstrated that women are more than willing to make those changes, even if they will be difficult. Part of ensuring that a business thrives is to make sure that it is positioned to evolve. For many businesses, having a woman at the helm ushers in these changes and evolutions that keep businesses fresh in the competitive modern marketplace. As a woman, you have a significant opportunity to make a difference in the world of construction management, and there has never been a better time to enter this industry. The world has recently become much more progressive, and the industry has followed suit nicely. Are you interested in taking on construction manager training? Are you ready to do what it takes to make your way through the training and learn about the industry? If so, then you are certainly ready to give us a call or visit our website. You will learn from outstanding instructors and gain practical knowledge through hands-on training. Financial aid is also available to those who qualify, so you may be able to obtain an education without having a perfect monetary situation. The future is yours, and there has never been a better time to get into construction management. As a potential project manager, you are probably wondering what kind of work you can expect to be doing. The first thing that we would like to say is congratulations; you have made it! You have finally moved above the manual labor that you likely became accustomed to, especially if you worked in the construction industry before choosing construction management training. Your experience will be invaluable, and you will bring quite a bit to the table. What specific experience do you need to be effective in a construction management career? We have a few great suggestions for you. The importance of honing your communication skills during your time in school simply cannot be overstated. Project managers will need to communicate their vision, goals, ideas, and even their problems. In addition to these items, project managers will also need to be able to produce reports to ensure that the project stays on track and that everyone is paid out on time. 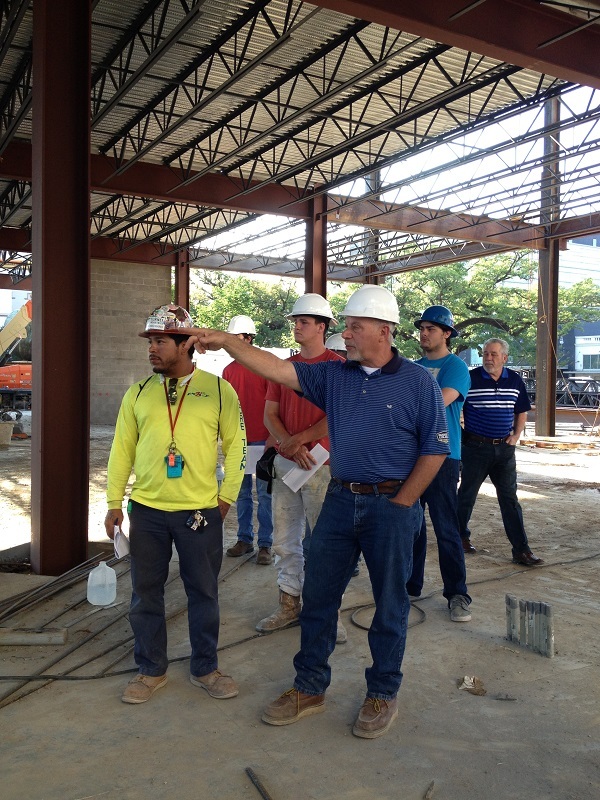 When you take on the role of a construction manager, you are a leader who others will look up to. What would you like your legacy to be? Quite frankly, many project managers lack strong leadership skills, so honing these skills early in your career can create countless opportunities for advancement later. Your projects will run smoother overall, and those working under you on the project will be happier and more efficient as well. Can you get the project on track and use the resources at your disposal to bring it to completion? With the proper training, you absolutely can. Team leaders need to make tough decisions when they are working in the construction management industry. You will need to know when to bring someone in closer when to push them away when to take their ideas seriously, and most importantly, when to be the bad guy. Project management has a singular goal: to see the project to completion and ultimately, to make money. You will need to delegate tasks, resolve conflict, set goals, and evaluate performance. It is all about being the inspiration for others, and with proper team management, you can be exactly that. If you want to be effective, then you will need to make sure that you are organized on both a personal and professional level. Remember: if you cannot keep your own life organized, then you have no chance of keeping your professional life organized. As a result, your projects will begin to suffer. That is not the outcome you want, so work on yourself before you start to commit your resources to a team. As a project manager, it will be important for you to know when you should be taking risks, and when you should proceed with caution. In some cases, it will be important to figure out how you can reduce risks, and you will need to learn what reducing risk entails. During construction management school, you will learn risk reduction techniques through hands-on training that you can later apply to real-world scenarios and situations. If you feel that construction management is the right field for you, then now would be a great time to start reviewing at the opportunities ITI Technical College offers. From highly experienced instructors to advanced curriculum and hands-on training that will prepare you for the real world, ITI Technical College offers a comprehensive educational experience. It is time for you to start your career and rise above the rest! Contact us today to learn more. Construction management is an outstanding career, but there are a few things that you will need to know before you take a job in the field. Today, we are going to examine four different aspects of the job that you will be facing after you finish construction manager school. A common misconception is that you can finish your construction manager training and simply move on to bigger and better things. In a way, you certainly can, but you will need to make sure that you have adequate on the job experience as well. This means you must work in the field at an entry-level position and gain some hands-on experience. This will show you have what it takes and are willing to expand your education as needed. If a job with reasonable hours was what you were hoping to find here, then you have been terribly mislead. As a matter of fact, many jobs in the construction management field will require you to work nights and weekends to meet stringent deadline requirements. As a construction manager, you will likely have your own office. However, you may not spend much time there as this job requires a significant amount of fieldwork. In most cases, you will have a temporary office built near the construction site so that you can monitor construction, speak to employees, and work with clients. You will be constantly on call, and you must be ready to deal with a plethora of challenges as they are thrown your way. The final point that we want to bring up is the flexible nature of the jobs that you will undertake. One job may involve a commercial building, and the next may involve a residence. You might even find yourself working on a school building. Even more importantly, not all jobs will be fresh builds; many of them will be modifications or additions to add functionality to the building in question. The possibilities are endless, and there are many different types of jobs to be done. We mentioned that on the job experience is important, but employers would still like you to have classroom education to ensure that you have the basics down before you enter the field. At ITI Technical College, you will receive training from our passionate, experienced instructors. They will give you the edge you need to go out into the world and into the field with confidence. If you are ready to change your life and stop working an average 9-5 job, then now would certainly be the perfect time to give us a call and check into your options. Our trained staff can help you with admissions, scheduling, and general career questions as well. Financial aid is available for those who qualify. We understand that not everyone has the means to attend the school of their choice, and in our opinion, there are many people out there who could make a true difference in the world if they were only given the right opportunity. There are plenty of jobs in this growing field, and you will soon take your place among the legends in the construction management industry. Just remember that it all starts with a phone call and enrollment. 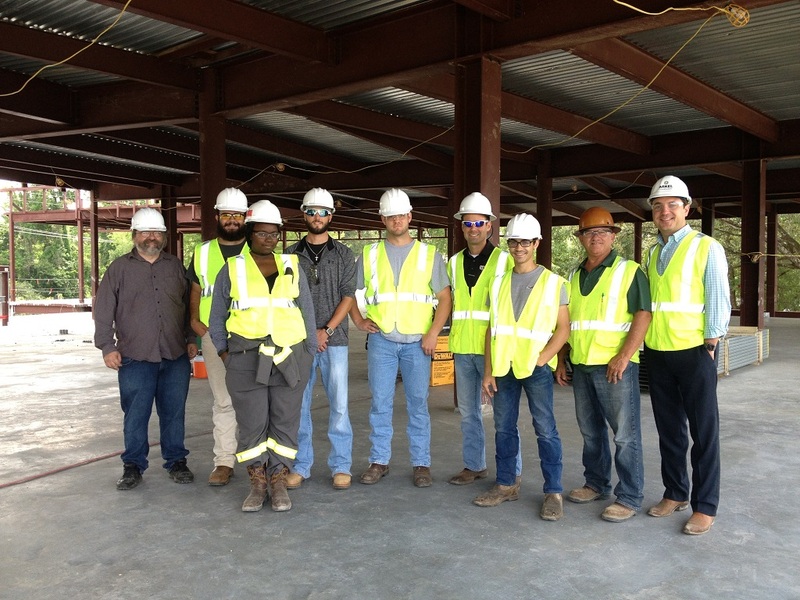 We are waiting here for you, at our construction management school in Baton Rouge. Is Construction Management a Rewarding Career? It is always important to have a career in mind when you are deciding on the subject matter of your education. You will likely spend many years working in your career, so you should work towards a job you feel passionate about. Your chosen field of study should be rewarding financially and personally, as there are many degrees and certificate programs with negative growth outlooks or potentially unstable economic factors that could potentially leave graduates with more student loan debt than career options. If you want to study for a career in a dynamic, engaging industry, then construction manager training could be perfect for you. As a construction management professional, you will be the one calling the shots and may eventually come to control the direction of large projects. Construction management can be a lucrative career path in the United States, which makes this a very compelling opportunity to explore. What Makes Construction Management So Rewarding? Most people do not want a job that is easy and boring. If you are a highly motivated individual, then you will likely appreciate a strong challenge, and this is precisely what you will get when you work as a construction manager. Construction management is a specialized form of project management where you will oversee and guide construction projects from beginning to end. You will be involved during the planning stage, throughout construction, and right up to signing-off of on the job and handing it over to the client. Some of your tasks will include budget planning, accounting, staff management, tool procurement, material selection, and research and development that is required to complete the project. Day to day management can be challenging at times, but it is this challenge that makes so many people fall in love with the construction management profession. When you work hard to achieve your goals, you will feel pride in the work that you do. When you manage a project, you will see it evolve and grow, and the satisfaction that comes from watching everything come together can be immense. You will also have a direct impact on other people in the project by helping them to achieve their own goals. All of this comes together to make construction management a very rewarding career path that is available to hardworking individuals across the country. As the industry continues to grow and new projects are bid on and sold, the demand for construction managers will continue to rise. Your construction manager training will allow you to work in an industry where the median annual income is higher than the national average. According to the Bureau of Labor Statistics (BLS), the median annual income construction managers earned in 2017 was $91,370 per year, which equates to approximately $43.93 per hour. This is a competitive salary by most standards, and while entry-level positions do not pay quite as much, there is still bountiful opportunity within the industry. Furthermore, the Bureau of Labor Statistics cites that in 2016, there were more than 403,000 construction manager jobs across the United States. The Bureau of Labor Statistics goes on to mention that the job outlook between 2016 and 2026 is expected to grow by 11%, and this is faster than the national average for industry job outlook growth. Once you are educated and qualified, you will find that your talents are in high demand, and the large growth in job outlook means that you will likely be able to find work in most areas of the country. Construction is an industry that is constantly changing and usually growing. Houses must be built as the population grows, public infrastructure projects are developed to keep up with this growth, and large commercial developments need talented construction manager school graduates. Studying at ITI Technical College is an investment in your future, and it is an investment that you can enjoy for years to come. Construction project management training at a reputable technical college will prepare you for the demands of one of the most rewarding careers that are available today. At ITI Technical College, we offer an Associate of Occupational Studies (AOS) Degree in Construction Management that combines hands-on training with practical skills to provide a well-rounded, comprehensive education. Contact us to learn more about enrollment requirements, financing options, class schedules, or simply to ask any questions that you might have about this popular industry. Comments Off on Is Construction Management a Rewarding Career? Is Construction Management a Good Career Choice? As you prepare to embark on your journey into the world of construction management, you likely have one very big, important question: is it worth it? After you finish your construction management training, you will be thrown into a fast-paced world and in many situations, you have never dealt with before. It will not be easy, but nothing worthwhile ever is. When you are working in a construction management job, you will usually have somewhat of an idea of what is coming, but it can change very quickly. For example, one day a project may close successfully without any issues. However, on the following day, you may encounter problems on a separate project. Maybe you have successfully hooked up the water, and the gas, and even the power, and you know that your structure is going to stand the test of time. These are great days, and they are the days that you can be proud of while you are working this job. Then again, on some days the entire project could completely fall apart, leaving you with an upset customer, and upset workers. Sometimes you may even find that you are near project completion, and the customer is forced to stop work due to insufficient funds. To put it simply, these are the days that will test you, but they are also the days that will define you as a construction manager. The possibilities are endless, and you need to be ready for many different scenarios. The life of a construction manager can be exciting, but it can be very perilous, financially speaking. As a construction manager, you will need to be ready to deal with the potential for injuries on the job site, and it is never a pleasant prospect. If a worker becomes injured on the job, the construction manager must find a replacement, and it becomes even more frustrating if the injured worker is a key employee. Imagine not having the drivers to haul material to a site or imagine not being able to install the trusses on a home construction project due to injuries. It is not a pleasant prospect, and improper planning can cost a company thousands of dollars. As the construction manager, it will also be your duty to stay on schedule, which may be easier said than done in some cases. Keeping to the schedule is crucial because failing to do so will often result in delayed approvals, delayed payments, and greater costs for your company at the end of the day. You will also notice that staying on schedule becomes harder with time as you may be working at several different locations throughout the day. It is crucial that you build a team and work together with them to accomplish the goals that both you and the company have set out. You might be the construction manager, but that does not mean you should be doing things alone. Your job will be to make use of the resources that you have on hand and to make sure that the project is completed properly. It’s not always an easy venture, but it can be very satisfying at the end of the day. Projects are all about the details – details that can make or break an entire operation. 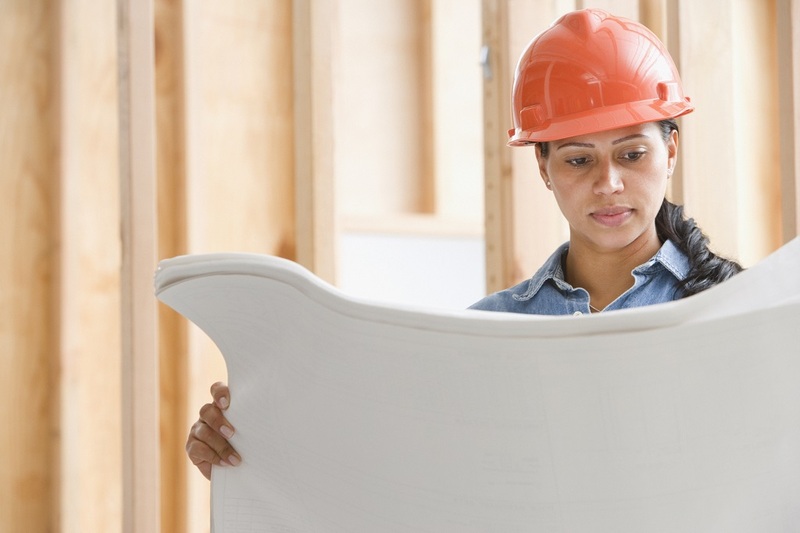 Comments Off on Is Construction Management a Good Career Choice? A construction manager is responsible for overseeing a building project from the beginning to the end. The construction manager usually manages a team of employees and subcontracts any work the crew cannot complete. Although some managers attain their position through years of experience, others earn degrees in a construction-related field to start out at a higher level. If you are thinking about joining the world of construction management, you should consider enrolling in a reputable construction manager school. Construction management is a highly proficient field that requires facilitation, coordination, planning, and control of a project. Here is a list of reasons you should take pride in your work as a construction manager. Construction managers working for medium and large construction and engineering companies have strong earning potential. In growing and populous areas, this earning potential may be even stronger. According to The Bureau of Labor Statistics (BLS), construction managers earned a median annual income of $91,370 in 2017. This breaks down to about $43.93 per hour, which is a comfortable living wage by many standards. Additionally, The Bureau of Labor Statistics indicates a job outlook of faster-than-average growth of 11% during the period of 2016 through 2026 for construction management jobs. From a pragmatic standpoint, this makes perfect since these professionals are necessary for new developments and reconstruction in older areas. Regardless of the season, there will invariably be a need for construction. The benefits for a construction manager position differ across companies, but salaried companies usually offer vacation and health benefits at a minimum. Keep in mind though, vacation time might revolve around active construction projects. Contracted and self-employed construction managers may not have access to either of these benefits, but their earning potential can be higher. They also can take vacations whenever they choose, as long as they have a strong team backing them up. Construction managers assume a huge leadership role in managing a construction project. If you are the kind of person that wants decision-making power and authority, this job may be a good fit for you. You will not only lead your crew of employees, but you will also communicate with subcontractors, architects, the client, and at times, city planners. This type of work requires a great deal of initiative, organization, and selling skills. If a construction project encounters unforeseen delays, which they often do, it will be your job to persuade your client and those involved in the project to make schedule modifications or spend additional money. If you dread the idea of sitting at a desk every day for the rest of your career, the construction management path may be ideal for you. You will find that most work in this industry takes place outside, which is a significant advantage for those who enjoy the outdoors. You will seldom spend time at a desk. Instead, you will probably spend most of your time in the field working and solving problems alongside other team members. The construction industry is hands-on, and no two days are exactly alike. You will learn new things daily and be able to apply your knowledge in the field. Not many jobs provide this kind of work environment. While many construction managers earn a bachelor’s degree from a four-year college or university, this is often not a prerequisite for obtaining a construction management job. Some construction firms will allow you to move up the ranks by working as a manager’s apprentice. In some circumstances, having the leadership and analytical qualities learned as an apprentice is more valuable than the degree itself. Construction management can be a lucrative and rewarding career path for individuals who do not want to attend a four-year college but still desire professional advancement. However, not all companies allow this type of upward movement and instead require their managers to have a degree. In this instance, there are many programs available, such as our Construction Management degree program which will give you the knowledge and qualifications you need to move forward with your career. High-level construction management contributes a level of market expertise and insight during construction projects that could be vital to their completion. Extensive market insight can contribute to the development of a competent team with the needed community and local knowledge that is important when entering a new market. Essentially, a construction manager acts as the glue holding the entire construction process together. The construction manager sets and monitors budgets act as an on-site manager where necessary, and diligently works to mitigate all forms of job site risks. Consequently, there are multiple reasons to take pride in this field. What Kind of Education do You Need for Construction Management? Do you like to make decisions, lead others, and create positive outcomes on every project that you work on? If you are highly motivated, organized, and analytical, then you could be the perfect candidate for construction manager training in Baton Rouge, Louisiana. As a construction manager, you will be the lead on projects large and small, making all the critical decisions to ensure every job element is completed on time, within budget, and to specification. Of course, to be a successful construction management professional you will need the right training from a reputable technical college or university. Luckily, ITI Technical College in Baton Rouge, Louisiana is located right in your backyard! If you want to plan a better future, then you can start by learning about construction manager school and what types of skills you can learn from education in construction management. Why is Construction Manager Training So Important? Most construction managers working in the field today have completed some form of higher learning or certification program. Those construction managers without educational experience or formal certifications are typically from an older generation, and they have likely worked their way through the ranks to develop the skills that they need. If you do not have construction industry experience or any form of project management experience, then you may find it difficult to land a high-paying job in the industry today. Construction management training can give you the skills that you need, as well as industry-recognized qualifications that will help you start a rewarding career. An intensive study program will prepare you for the challenges of the industry, and you will not necessarily have to spend years working your way up as the construction managers from the previous generation often did. At ITI Technical College, we offer comprehensive construction project management training that combines hands-on laboratory-style learning with classroom lecture for a well-rounded educational experience. Students learn general project management skills, specific construction management skills, and practical business experience. * General business and commerce overview. * Business administration and management. * Supply chain, logistics, and materials management. * Supervision and office management. Although not exhaustive, this list will give you a good idea of what your training will involve. While you will need to be highly focused during your construction manager certification program, instructors will provide you with support and guidance as you progress through your training. Instructors at ITI Technical College have industry experience and genuinely want to help students succeed in their programs and in their careers. At ITI Technical College, we combine skills-based classroom learning with scenario-based laboratory environments, so you can apply your knowledge and understand what it will be like to work in the industry. Upon graduating from a reputable technical college or university, you will be ready to work in a dynamic industry that is both challenging and rewarding. New graduates typically start working as junior construction managers, although this depends entirely on the company that is hiring. It can take some time to adjust to a professional environment, but the practical knowledge you gain during training can help minimize your adjustment period. ITI Technical College’s hands-on approach to learning is recognized in the industry and helps prepare our graduates for success. According to the Bureau of Labor Statistics (BLS), the job outlook for construction manager positions across the United States is expected to grow by 11% during the period of 2016 – 2026, and this growth is higher than the national average. During this period, the Bureau of Labor Statistics projects approximately 44,800 new jobs will be created. Furthermore, according to the Bureau of Labor Statistics (BLS), the median annual income construction managers earned in 2017 was $91,370 per year, which equates to approximately $43.93 per hour This is a competitive salary by most standards, and while entry-level positions do not pay quite as much, there is still bountiful opportunity within the industry. Talk to us today if you are ready to take the first step towards a successful future. Our professional admissions staff is ready to provide you course information, enrollment requirements, scheduling options, and more! A future in construction management could be precisely what you need to transform your career and live a better life. Comments Off on What Kind of Education do You Need for Construction Management? Now that Spring has transitioned to Summer, many students will find themselves enrolling in summer internships and beginning the path towards gaining hands-on job experience. What is an internship exactly? How is it going to help you on the way to a brand-new career? In practical terms, working at an internship compares to performing a dress rehearsal for the job that you eventually hope to get. 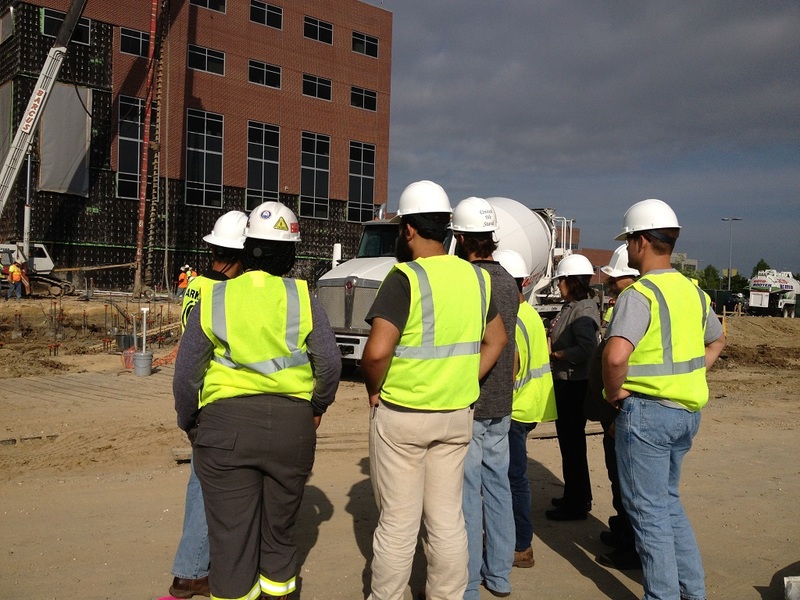 Internships can help prepare you for a new career in construction management. They can also help you build relationships and get your foot in the door of a tightly-knit and competitive industry. In the construction management field, making a strong first impression can help you land a solid position after you graduate from construction manager school. Creating this impression early on by participating in an internship will put you leagues ahead of students who graduate without existing relationships in the field. We are going to cover a few helpful tips that will aid you in getting the position that you want and ensure that you are not only able to land the job but to advance in it as time goes by. We cannot emphasize preparedness enough; when you begin your internship, ensure you have conducted research on the company and the position itself. The thing to remember when you are preparing for a job in a construction management is that you could be on the job site one day and in the office the following day. Therefore, you need to bring the required apparel, tools, and mindset for both situations. Keep a pair of boots with you, but also bring a pair of dress shoes. One of the biggest mistakes that you can make when you are working an internship in the construction industry is to assume that you know the workplace. In all honesty, there is a belief that the construction industry is laid back and for the most part, it is. The problems come into play when you walk into an environment and act informally without really reading the room. Get a feel for the workplace before you start acting in a certain way, and make sure that you do everything correctly. The last thing you want to do during your internship is informally addressed by an executive of the company or jump personal boundaries too quickly. You should build strong, professional relationships with these individuals, but do not assume company executives and your direct superiors are your friends – treat them professionally as business associates. One of the easiest ways for you to make your internship a little bit more successful is to go out of your way to show respect. Remember: everyone you encounter during your summer internship has something to teach you whether it is the CEO or a secretary. One of the best ways that you can show respect is to learn the first names of everyone that is working there and most importantly, find out whether not they prefer that name be used. Some people still prefer a suffix, and others may go by a middle name instead of their first name. There is such a thing as having too much on your plate and it can certainly happen during an internship. Take notes, learn as much as you possibly can, but do not try to learn everything in the first few days. If you can, try to use google to learn a bit more about the field and use it to resolve any complex issues that you have encountered. As always, feel free to ask questions when you are confused but once again, do not expect to know everything. Internships can be very exciting – make sure you are ready to learn and most importantly, own up to any mistakes that you make. It will go a long way toward making an impression. After you graduate from a construction manager training course you may be tasked with inventing ways to improve the industry; this is no small task. The construction management field is one that is constantly changing, but you do not need us to tell you that. As with any other field, it is influenced by ideas, technology, people, and countless other factors that press on its invisible walls and pressure it to change. There is little doubt that a winning strategy from ten years ago would fall flat today and with that being the case, you may find yourself called upon to create a scenario in which your company will succeed. Let us say for a moment that you are working as a VDC manager and you need to bring your company to the next level. In this article, we are going to discuss some of what it takes to elevate your company and to truly shine in your role. It is important to remember that every single construction management job is going to be different to some extent, which means that you need to convene with your co-workers constantly if you are going to get an idea of what is needed. Problem-solving is a crucial part of the construction management process and construction management training will teach you how to make the most of the time you have. While you can normally expect the best from your team no matter what, you will need to push things along by creating incentives for them. You could create awards for the ‘best-stacked project’ per quarter, and the award could be anything from a physical item, to an event, such as a pizza party or even a barbecue. This is not only fun, but it also encourages cohesive teamwork amongst your employees. Along with working with your team, you will need to make sure that you are properly collaborating with those who work directly under your management. This includes subcontractors and even CAD designers who are working to create the blueprints for your project. By interacting with these people, you will be able to not only find that you build a better relationship with them, but that you will learn new things that will help you as you make your way through the industry. After you finish construction project management school, you will still have quite a few things to learn. ITI Technical College is more than willing to get you started. Your education starts with a simple phone call, and even if you do not believe you have the required finances to move forward, you should contact us since financial aid is available to those who qualify. Our educational programs can be a great asset to you and will help you to move forward with your life, so do yourself a favor, and do not postpone your future. If you are ready to move out of that 9-5 job and do something meaningful, then the construction industry is going to be your gateway to a better life. Call us today or fill out our contact form online to get your future started.